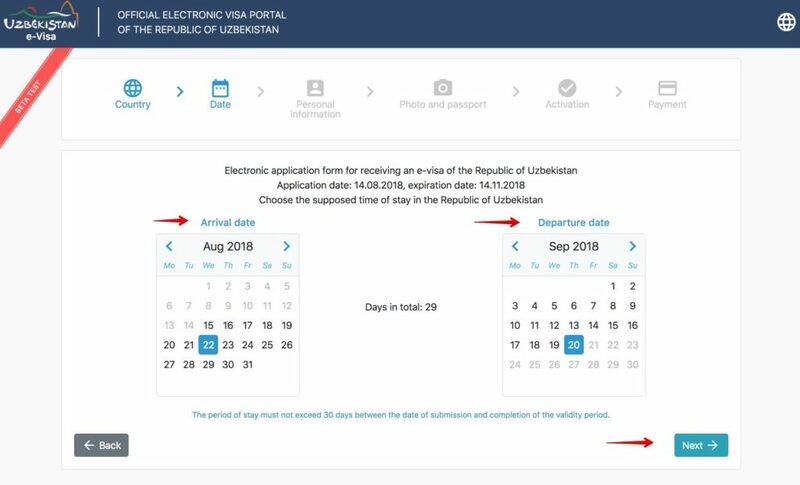 From July 2018, it is possible to apply electronically for the tourism visa to Uzbekistan (e-Visa). In this post I will explain the requirements and how to complete the visa process to Uzbekistan, step by step. 1.1. Who can request the e-Visa? 1.2. 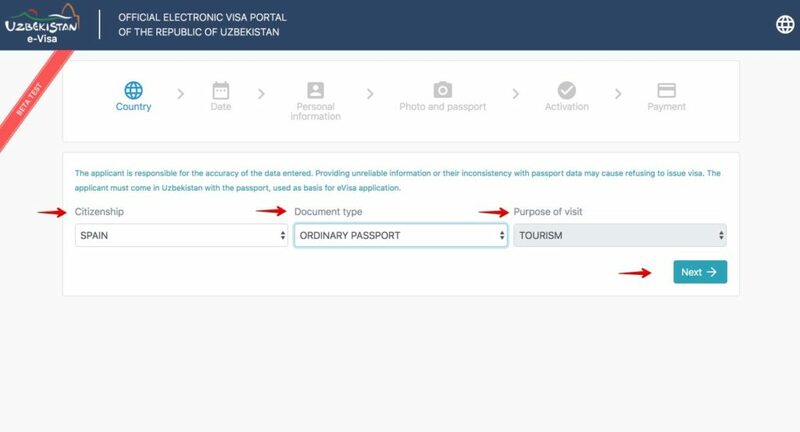 When a visa to travel to Uzbekistan is not mandatory? 1.3. How far in advance should I apply? 1.4. What is the duration period of the tourist visa? 1.5. How long does it take to issue the electronic visa? 1.6. What documentation do I need? 1.7. Do I need travel insurance? 1.8. How much the electronic visa (e-Visa) cost? The first thing that comes to mind when you think of Uzbekistan is the Silk Road. Millenary cities such as Samarkand, Bukhara and Khiva, were the most important sites along the Silk Road, which has made this country, with many tourist attractions, fashionable. In this article I’ll explain how to process the visa to travel to this fascinating country. 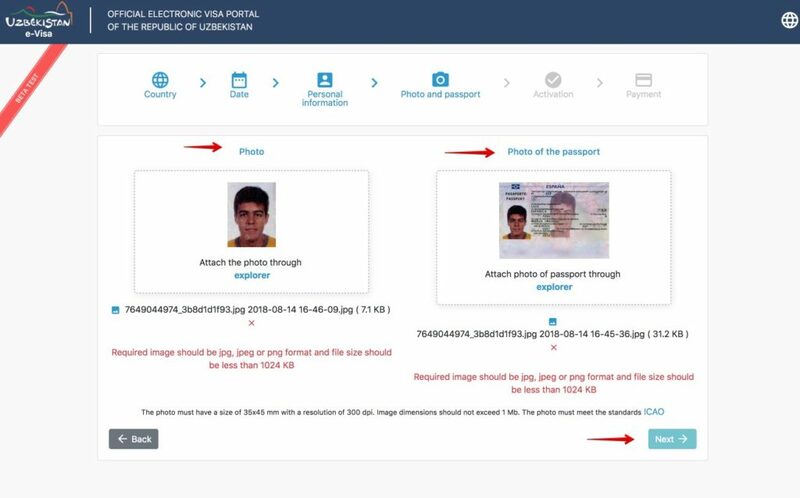 Since July 2018 it is possible to do it electronically (e-Visa). It is no longer necessary to go to the consulate. Asia: Bahrain, Bhutan, Brunei, China, INDIA, Kuwait, Lebanon, Maldives, Mongolia, Oman, Philippines, Qatar, Saudi Arabia, Sri Lanka, Suriname, Thailand, Turkmenistan, United Arab Emirates and Vietnam. Africa: Equatorial Guinea, Gabon, Mauritius, Morocco, Seychelles, South Africa and Tunisia. Neither do children under 16 years of age with a biometric passport, accompanied by their parents or legal representatives, need a visa to travel to Uzbekistan. CIS countries: Azerbaijan, Armenia, Belarus, Georgia (up to 1 year), Kazakhstan, Moldova, Russia, Ukraine and Kyrgyzstan (up to 60 days). Since February 2018, a visa-free regime has been introduced for stays of up to 30 days for citizens of 7 countries: Japan, Indonesia, Israel, Republic of Korea, Malaysia, Singapore and Turkey. The application for an electronic visa (e-Visa) must be made at least 3 working days before the expected date of arrival in Uzbekistan. The electronic visa (e-Visa) is issued for a period of 30 days, though it is valid for 90 days from the date of issue. For example, if you apply for the visa on October 1, it will be valid from this date (October 1) until December 31, though you can stay in the country for a maximum period of 30 days from the date of entry (for example, from November 1 to November 30). The electronic visa (e-Visa) is issued within 2 business days (not counting the day you filled out and sent the application form). 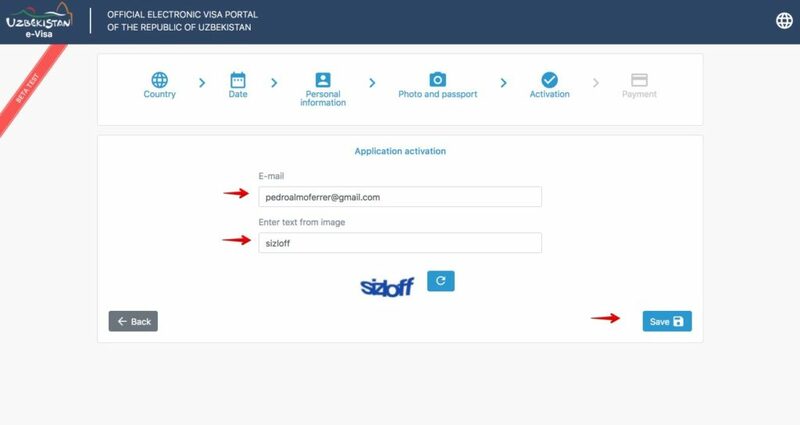 The electronic visa is sent to the email address that you indicated during the application process. 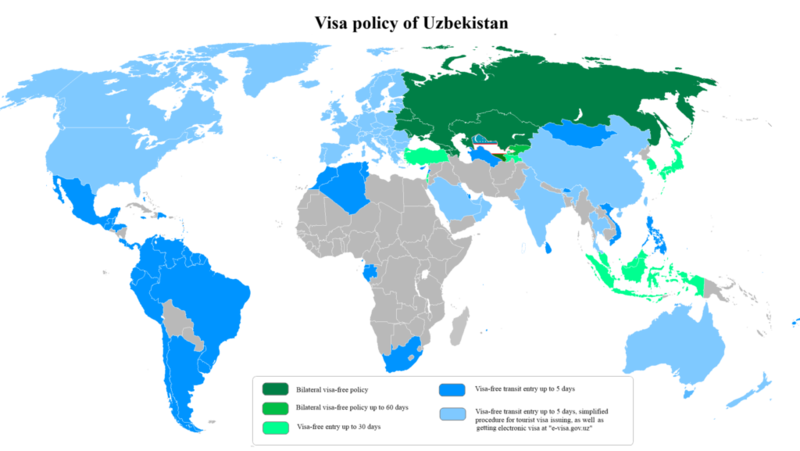 Travel insurance is not mandatory to apply for the visa to Uzbekistan, but it is highly recommended. 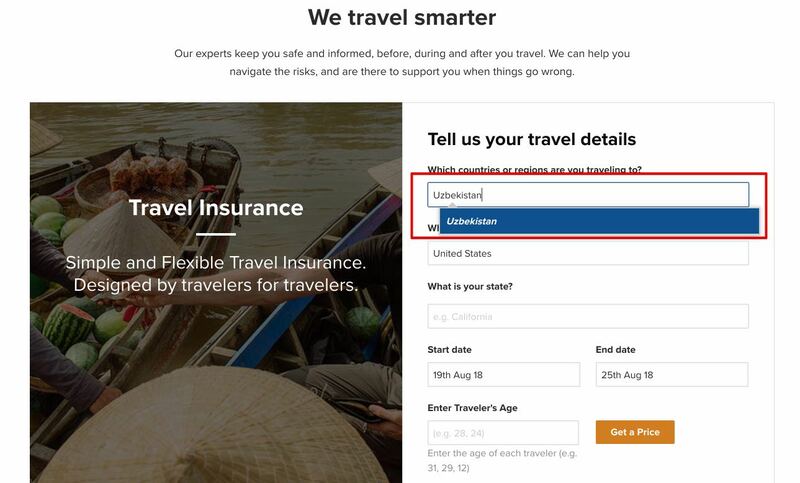 You can get travel insurance online in 5 minutes, through the company World Nomads. The total amount of consular fees for the issuance of the electronic visa is USD 20. You can make the online payment through credit or debit card. It is not necessary for the applicant name to be the same as the cardholder name. Enter your personal, work and residence information in Uzbekistan. 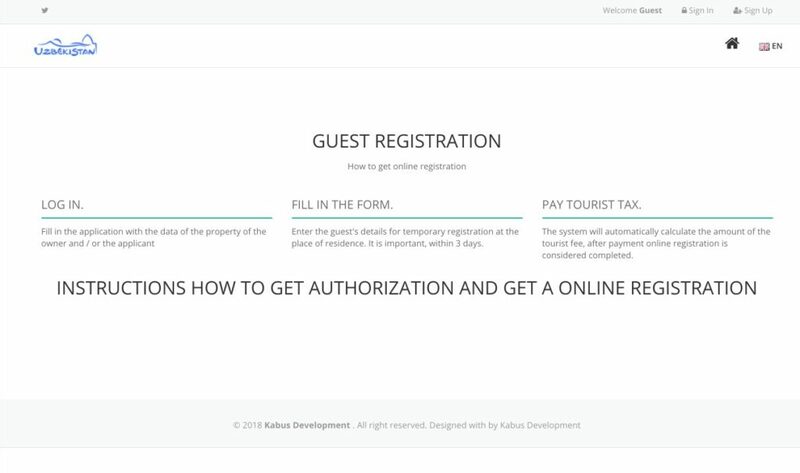 You can specify a hotel at random (name and address) and then stay at a different hotel. They will send you a link to your email to make the payment through credit or debit card. The visa costs 20 USD. It is not necessary for the applicant and the cardholder to be the same person. Within two days they will send you the visa to your email, ready to print. If your stay in Uzbekistan is less than 3 working days (excluding weekends and holidays) it is not necessary to register, but if it is longer than 3 days, a registration is mandatory. If you are staying in hotels or student residences, you will already be automatically registered, but if you do it in other types of accommodation (apartments or private homes, for example), then you must register. 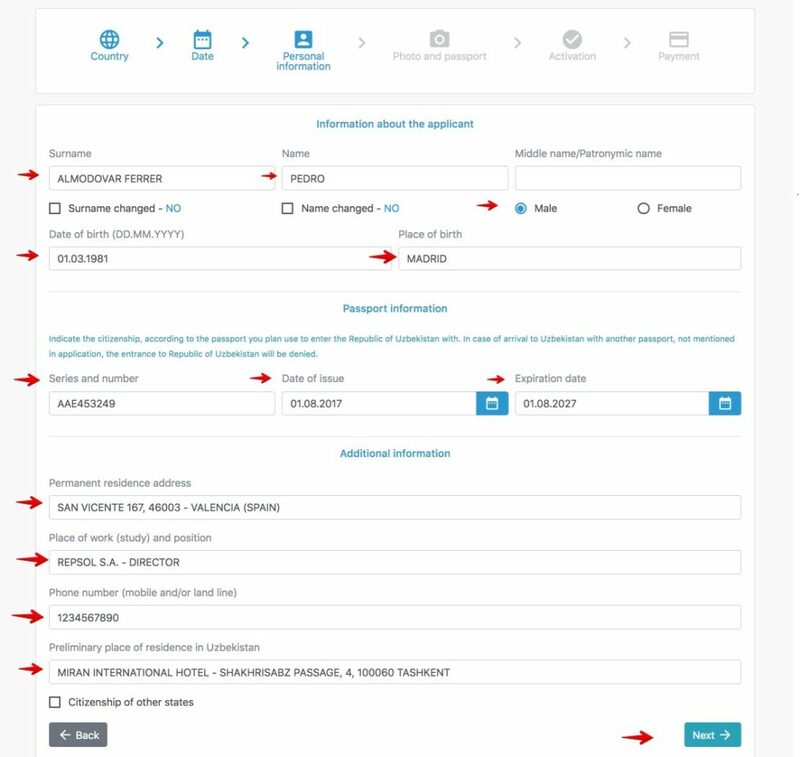 To make this registration, the government of Uzbekistan has implemented an electronic registration service through the website: http://www.emehmon.uz/, in which you must register before the 3 days and pay the tourist tax. 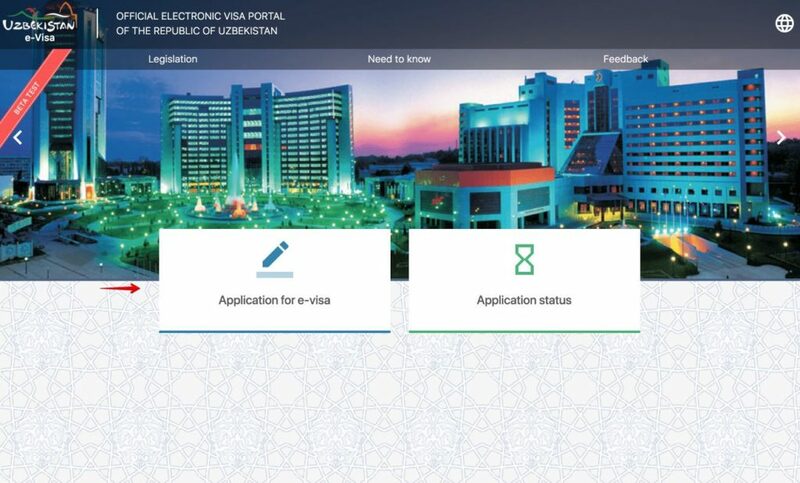 Have you applied for the electronic visa to Uzbekistan? How was your experience?